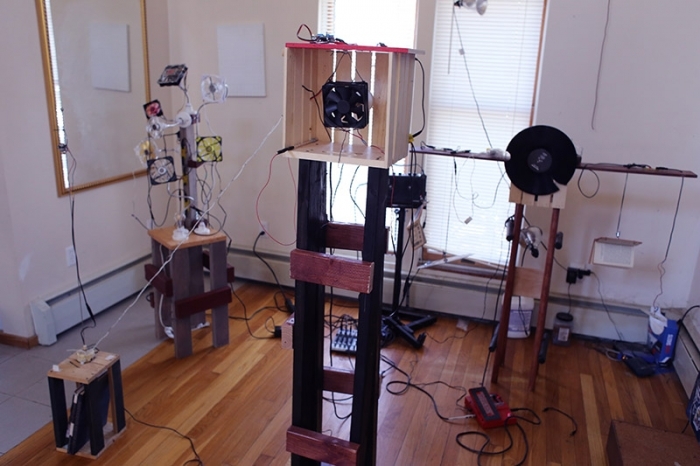 The work 'Three Philosophers' is three sets of interactive sculptures produces audio and visual effects. 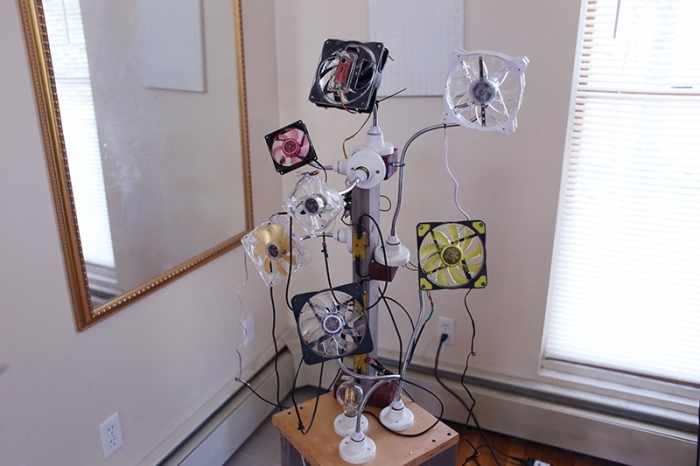 Each sculpture has its own interface and audio-visual effect. 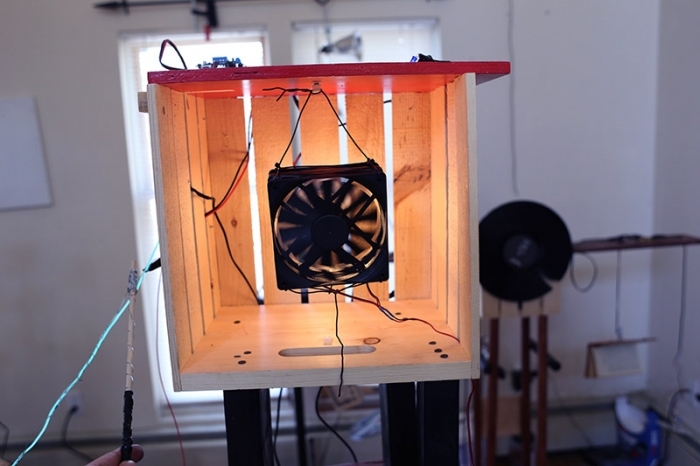 The first philosopher uses a hand crank, and based on its rotating direction and speed, it generates chaotic B minor RGB storm. 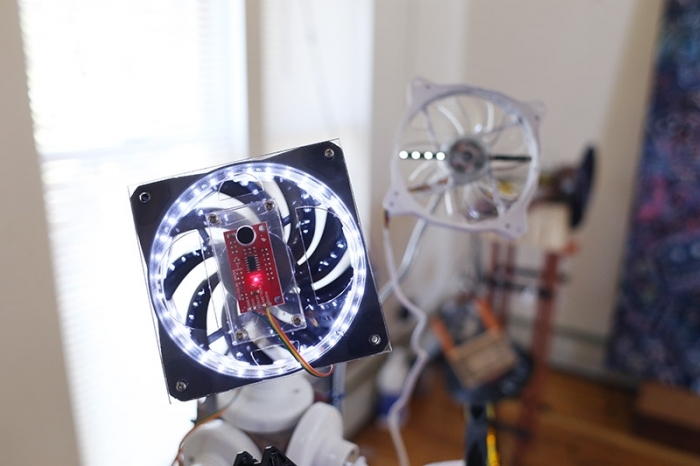 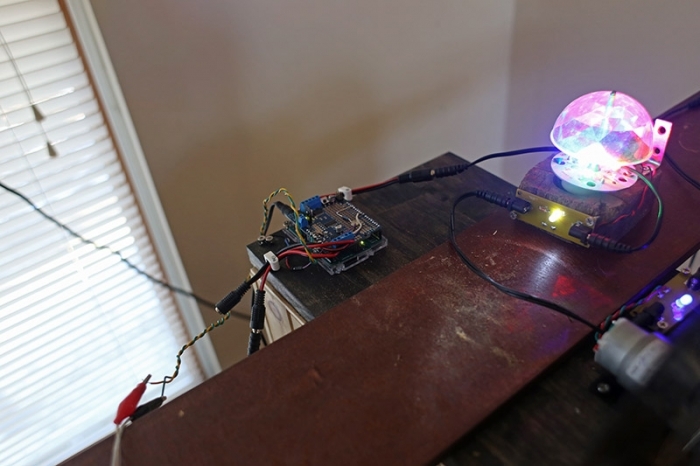 The second philosopher consists of various LED computer fans interacting with the user's wind-blowing and other crispy sound. 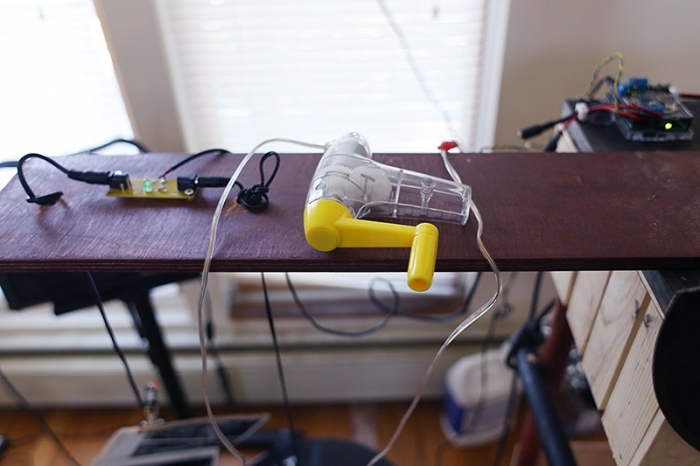 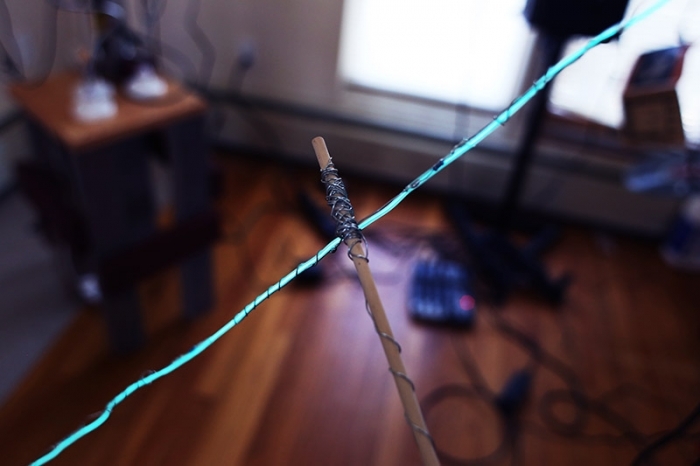 The third philosopher is a neon-string instrument that generates fragile G scale sound by using its wooden stick.